Traveler Reviews for Private Tour in Chiang Mai, Thailand by Tour Guide Panphailin P.
We had a wonderful time with Lin! Her passion for the culture and ability to communicate the difference between Thai and Lanna culture (and food) helped us immensely! Her tour was well designed, packed with good info, and helped us sample the best of what Chiang Mai has to offer. We visited 4 temples, a local museum, walked through Wororot market, had lunch at the best Khao Soi place in town and was led to the best source of Chiang Rai sausage! But our interaction with Lin was the best part of the tour! Lynn was a very competent guide. She took us through the old town area in Chiang Mai and introduced us to several local treats. She is personable and cheerful and is very knowledgeable especially in the area of Thai cuisine. Her assistant was very helpful in taking care of our needs and sat with one of us when our friend was getting tired while we continue to tour the sights. Lin was absolutely delightful and did a great job showing us around Chiang Mai. We learned so much and loved the mix of food tasting, temples, a museum, etc. Great guide, great tour! I am so happy that we found Lin! She and her friend Rain took us to wonderful, local places and shared a lot with us about the culture. We really got to understand Chiang Mai in a way that could have never done on our own. And the food - so great!!! We went to real local places that aren't (yet) overrun by tourists and experienced fantastic cuisine that we wouldn't have known about otherwise. This tour was by far the highlight of our stay in Chiang Mai and our trip to Thailand. Thanks so much!!!!! Excellent tour today. Panphailin was very gracious and knowledgeable. I would highly recommend her for any future tours of Chiangmai. Panphailin "Lin" was excellent guide and she gave us an outstanding food and cultural tour of Chiang Mai. She took us on an excellent walking tour and we explored many markets, museums and the Old City. We were also treated to deleitable local cuisine and delicacies. We highly recommend a tour with Lin. It was much better than exploring on our own! Lin is AMAZING! Her tour was the highlight of my trip to Chiang Mai. Lin is extremely knowledgable. We learned so much about the region, the history, and the people. Lin also went above and beyond offering tips and guidance for the remainder of our trip. We had a fantastic time on the tour! Thank you Lin!!!!!! We would give more stars for Lin if they were available; she is very knowledgeable of all the sights we visited; she took us to some wonderful local Lanna food stops; the highlight of the tour was talking with a monk; Lin is delightful, lots of fun, good joking with my husband; we plan on another tour before we leave and recommend her to others. She was extremely personable, knowledgeable, had a great your. Lin was very flexible in planning the activities and sites that we were interested in. Lynn met us at our hotel on time. 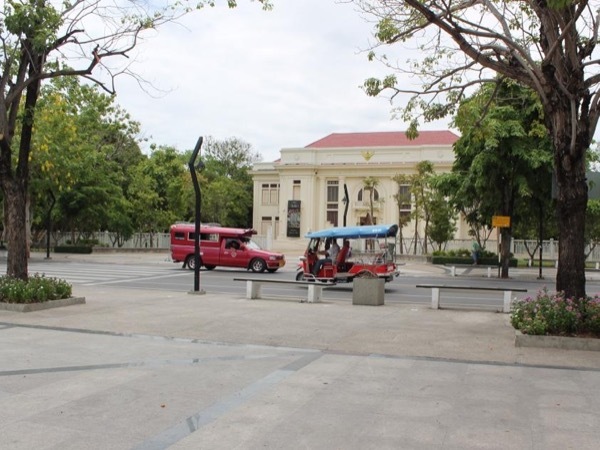 We were able to experience all forms of transportation which was fun, she was very informative when we visit historic sites, we really enjoyed the off the grid local cuisine and markets. She also arranged travel plans for us later in the evening. Overall, she was very friendly and this was a highlight of our vacation. Would highly recommend to get the true Chiang Mai experience. Panphailin arranged a custom tour to avoid going to places that we were going to with a group. She drove us to some distant sights in her own car, which was not even included in the booking. She correctly and honestly describes her English as advanced and not fluent; we could understand 95% of her English, and only rarely asked her to repeat herself. She gave us good lessons in Buddhism and Thai culture and history. Lin was so wonderful. She is a kind and funny guide and shared lots of great information about the city and living in Chiang Mai. She also was open to tons of questions and seemed genuinely happy and interested in answering them and sharing stories. She also took us to a fantastic mix of food and cultural stops. The only suggestion I would make to other travelers is to not eat a big breakfast like we did so you can save lots of room for the great food you'll eat! Panphalin (Lin) was an awesome companion for my one day in Chiangmai. Within minutes of meeting her I felt like I was hanging out with an old friend. Her knowledge of the city markets, temples and local restaurants allowed me to do everything I'd hoped to on a one day visit. We skipped the touristy Thai Food spots and instead visited small Lanna restaurants sampling the more regional foods with the locals. All in all a wonderful experience. Next time I'm in Chiangmai I will seek Lin out again for sure.